I began my engineering career at NCR in 1988. Shortly thereafter, NCR entered into a joint development project with Teradata (called P90). I was selected as one of five principal engineers to develop Teradata’s Banyan crossbar circuit-switched high-speed network (referred to as the BYNET), that made the Teradata system linearly scalable up to 4096 physical compute nodes. It was then that I met Jack Shemer, co-founder and CEO of Teradata, and the man who literally changed my life. And I actually have to thank David Hartke, co-founder of Teradata, in 1999, because it wasn’t until I first approached David…that I would start the most wild ride of my life with Jack. David looked into our concepts and quickly came back to us. It was very exciting times….we really thought we had something game-changing. And that was it. My life had changed. Of course Jack would take a look at something that David recommended he investigate. And with David’s support, it didn’t take long for Jack to get excited. He has always been an entrepreneur at heart….which I later had an opportunity to learn about in detail. He would tell me about his days studying mathematics and physics at Occidental, his electrical engineering at Arizona State, and his PhD from Southern Methodist. But I would never forget the stories he told me about his business experiences at GE, Scientific Data Systems, Xerox, Citicorp, and, of course, Teradata, all carefully offered to make critical points during our journey together…a journey that began after David had encouraged me to reach out to Jack. We founded INCEP Technologies in 1999, with the vision of disrupting the computer industry. 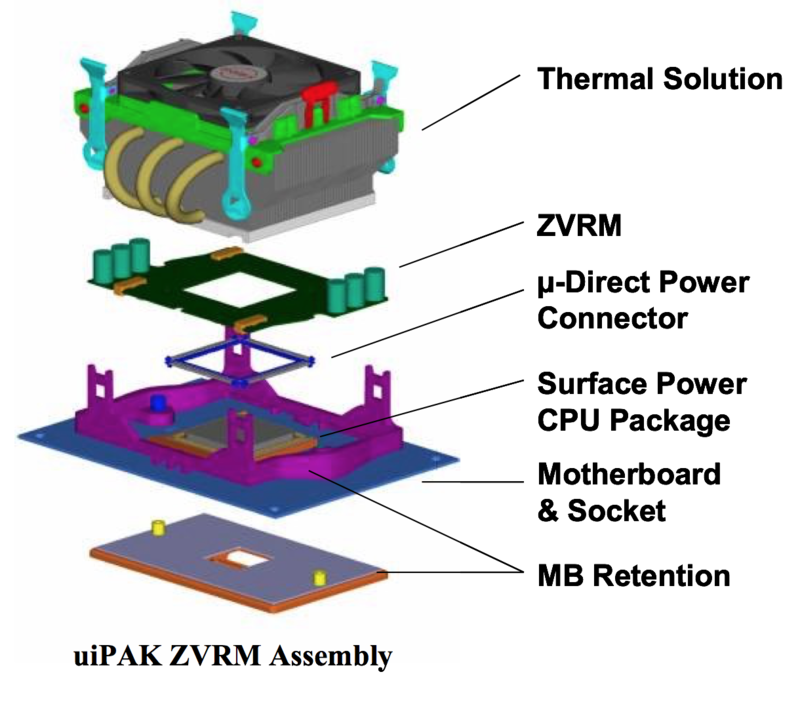 We would develop a new microprocessor package with companies like Intel and AMD. 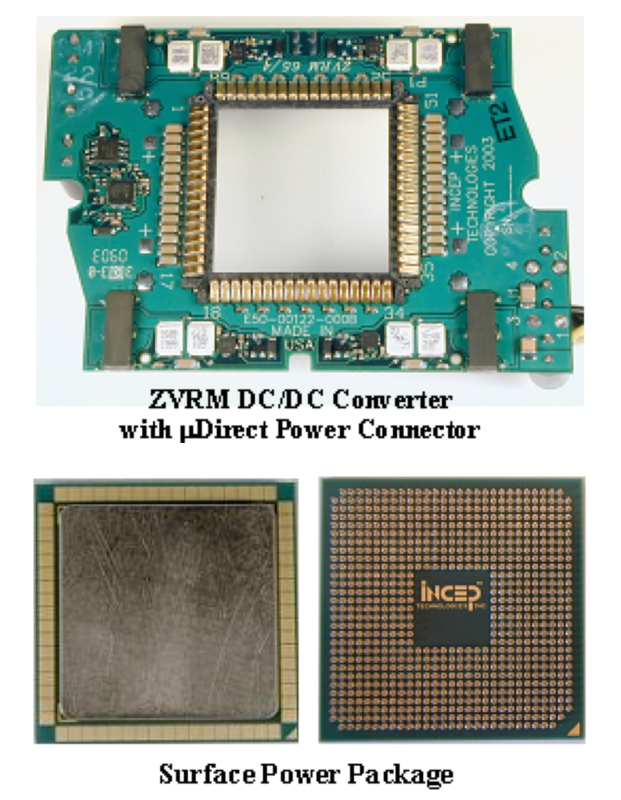 We combined the microprocessor die and its chip-carrier substrates with the CPU’s power conditioning circuitry (voltage regulator) in such a way that we could help sustain Moore’s Law in silicon density for decades. Intel, AMD, IBM, and others would have a chip packaging architecture that would support generations of their CPUs….and we would make history being a critical change agent. Not only did we get a design win with Intel for the McKinley (Intel’s second generation of the Intel’s Itanium CPU), but we also developed a desktop CPU prototype with Intel’s arch rival, AMD (that’s a whole other story). I will never forget the day that we received news from Mike Fister, Intel’s Vice President and General Manager of the Enterprise Platform division responsible for the Itanium. In early 2004, Intel made a change that would essentially rob us of our dream. Intel announced its plan to add 64-bit capabilities to its Xeon server processors, following the approach that AMD had embarked years earlier. AMD had gambled on creating a new line of chips that included special 64-bit extensions on their exiting 32-bit CPU architecture, making it possible to run traditional 32-bit Intel-compatible programs as well as newer 64-bit software. So rather than keeping their 32-bit and 64-bit CPU lines separate, Intel followed suit….essentially building 64-bit capabilities into their popular 32-bit CPU lines. The Itanium product was essentially dead. Having bet our company on the Itanium, we would be forced to sell and never realize our dreams. This was one of many musings that Jack would share with us. Matter of fact, he compiled a list he referred to as “one-liners” which was a collection of material he had compiled over the years – reflections of well known sages, including himself; all supporting his own personal philosophies in five general areas: entrepreneurs, management, sales/marketing, hiring, and culture (the last a slight paraphrase by me, and my personal favorite). I still have that list today. Jack, I want you to know that I have never forgotten this! I use this phrase all the time. You had told us that you paraphrased this from quotes of “Tommy” Davis and Peter Drucker. I reflect every day about how lucky I am…for everything you passed on to me. My list of lessons from you is long, and they will never be forgotten. I only wish I can achieve a fraction of the success you have created, and even more importantly, I hope that I can pass on everything you taught me to other aspiring leaders. You are my inspiration and you essentially made my ability to become a CEO possible. I am truly in your debt and forever grateful. Tagged with AMD, chip packaging, CPU, David Hartkey, INCEP, intel, jack shemer, teradata.